If you're looking for a starter home or want a great investment/rental, look no further. This is a beautifully renovated home with everything inside less than two years old. Located on the top floor of a three floor building, the tiled and screens balcony provides a vacation right outside your door. Inside, you have a nicely sized living area where you'll happily relax in this quiet and peaceful condo. The floors are new and each room has new ceiling fans as well. The kitchen has a monster-sized walk-in pantry, 18-bottle wine celler and recent appliances (mostly Kenmore). The breakfast bar opens up to the living room and allows for easy eating and serving. There is a nice dining room area which comfortably sits four and you can expand towards the living room to add more guests. The master bedroom is large enough for king size bed and a decent amount of furniture. Like everything else in the condo unit, the bathroom has also been renovated. Outside, the balcony is a great place to relax. The closet off the balcony has brand new full-sized Frigidaire Affinity washer & dryer. No need to go to the condo's community laundry room. The condo building sits right next to a large lake that you can enjoy. Fish, boat, jog/walk/bike path. Two-year old air conditioner and hot water heater. Building roof is brand new. No assessments! 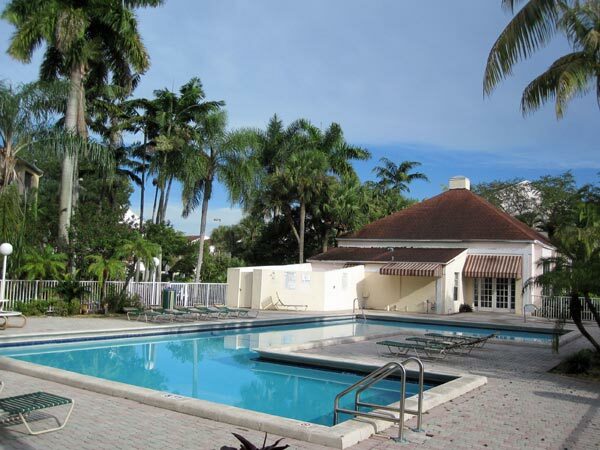 And you can enjoy the condo pool and gym which are only a half-block away. What's not to like? Move in today!